Happy Halloween from my Las Vegas kitchen! My name is Kathey Raskin, and Halloween is one of my favorite times of year to have children around. I love seeing their costumes when they come to my door for treats, but more than that I love serving Halloween-inspired treats to my grandchildren. Mummy Crescent Rolls – Cut refrigerated crescent rolls into strips and criss-cross them around a hot dog, then bake according to the directions on the package. You can add faces to these with olives, condiments, and more. Happy National Nut Day! My name is Kathey Raskin, and I’d like to invite you to my Las Vegas kitchen. 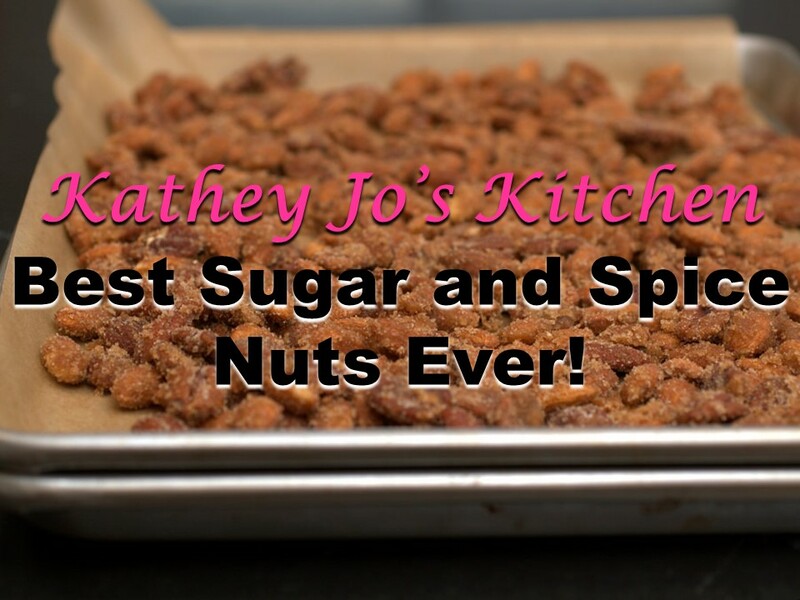 My Sugar and Spice Nuts is one of my favorite recipes because you can whip it up in a hurry and serve it for any occasion, whether it’s game night or a PTA meeting. Your guests may ask you what the secret ingredient in this recipe is. It’s paprika! I’ve found when combined with the other spices and kosher salt it gives this mixture just the right amount of kick. Consider serving this dish with a platter of your favorite cheeses and a favorite cold weather drink like hot apple cider or Mexican hot chocolate. It’s National Mushroom Day and National Red Wine Day, so Let’s Celebrate! I am Kathey Raskin, and I’d like to welcome you to my Las Vegas kitchen! Today is one of those lucky days when we have two incredible food holidays to celebrate, because it is both National Mushroom Day and National Red Wine day. These are two great tastes that taste great together, and with the weather getting cooler, doesn’t a hearty steak with red wine and mushroom sauce sound great? One of my favorite things about this sauce is its simplicity. This is a versatile recipe, and many chefs add their own special twist. Personally, I enjoy a cream sauce using rich burgundy with a pinch of herbs du Provence and cremini mushrooms. With so many varieties of wines, mushrooms, and cuts of meat to choose from, you can really have a lot of fun with this recipe. 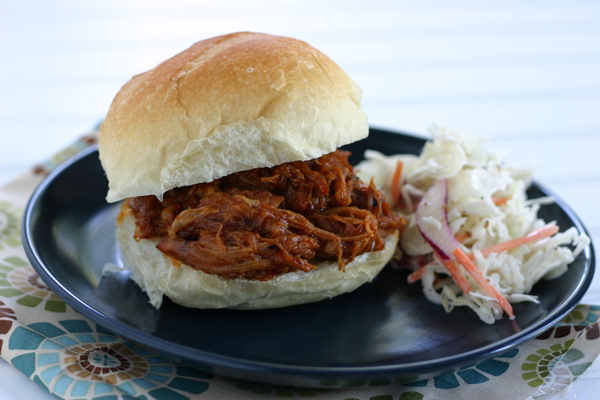 The Secret to Great Slow Cooker Pulled Pork? Liquid Smoke! Today is National Pulled Pork Day, and I can’t think of a better reason to celebrate! I am Kathey Raskin of Las Vegas, and I think pulled pork sandwiches are reason to throw a get-together any time of the year. This October the weather is all over the place across the US. Some of us are hot, some are cold, and some are drenched. This is a meal you can throw together in any circumstances, and you can adjust the sides to go with your situation. If it’s cold where you are, try serving with garlic mashed potatoes to warm your guests up. If it’s still warm, serve with a simple fruit salad. This is an incredibly versatile and easy meal with only one hard-and-fast rule, and that is this: if you want to get that smoky flavor in the slow cooker, don’t skip the Liquid Smoke!